Our woodpecker is back. Here he is, advertising for a mate on Valentine’s Day. He has discovered that the most effective way of creating a loud noise is to peck away at the roof of Bidston Lighthouse. We wish him every success. Meanwhile, the pigeons have already paired up. This entry was posted in Lighthouse, News and tagged Valentine's Day, woodpeckers on 15th February 2016 by admin. The woodpecker who performed for us last year is back. 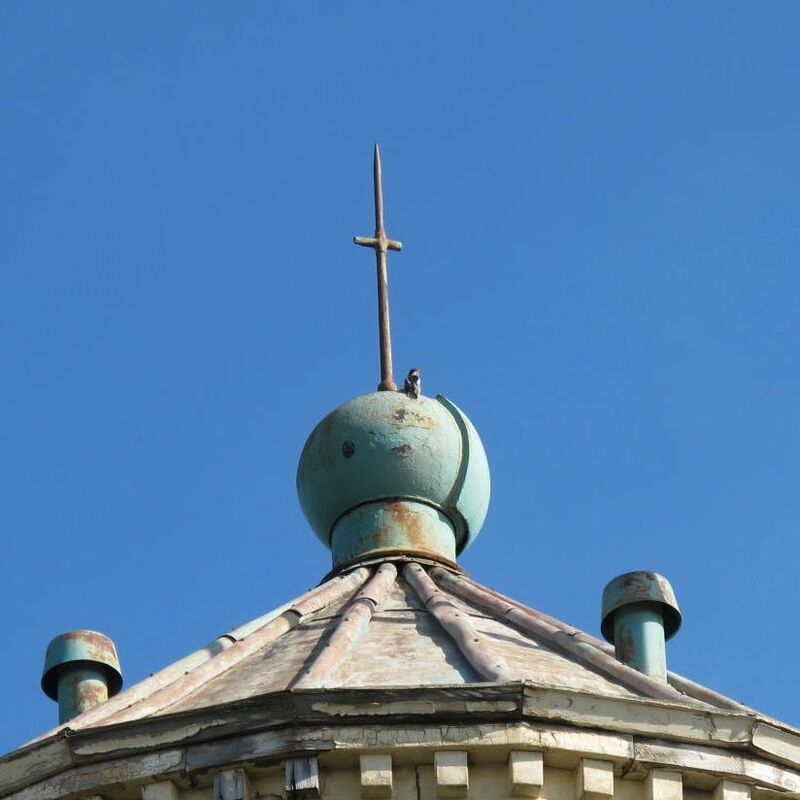 He has taken to pecking a tattoo on the spherical cupola atop the conical roof on Bidston Lighthouse. We wish him every success in attracting a mate. 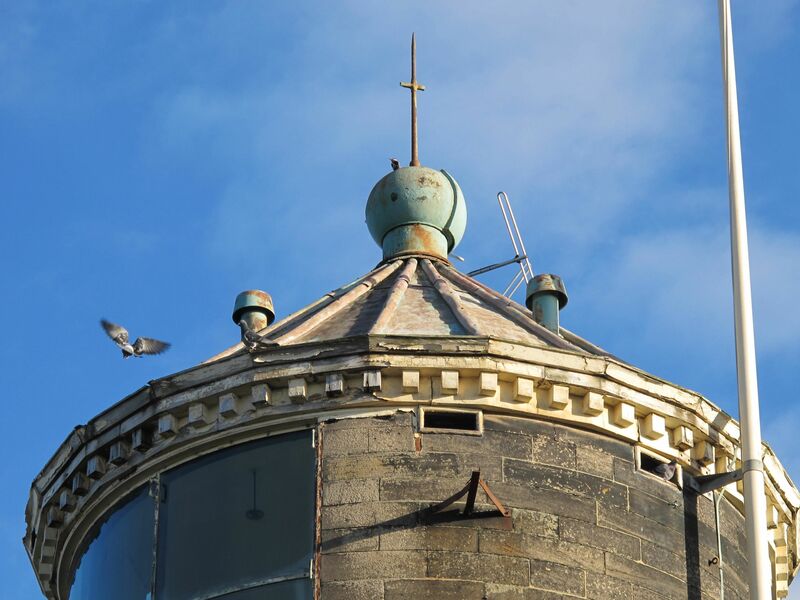 This entry was posted in News and tagged BidstonHill, BidstonLighthouse, lighthouse, News, woodpeckers on 22nd January 2015 by admin. 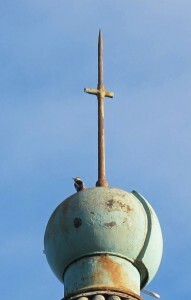 We’ve had reports of woodpeckers seen pecking at the metal roof of the lighthouse. This explains the curious sound that we’ve noticed recently, mostly during the early hours of the day, as the dawn chorus gets under way. Have you seen the woodpeckers? Do you have a photograph of them? If you have, please leave a public comment on this post, or send us a private message through our contact form. This entry was posted in Lighthouse, News and tagged lighthouse, woodpeckers on 10th March 2014 by admin.